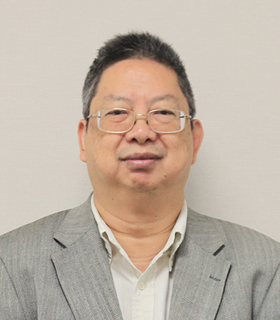 Dr. Wong Yun Kuen, is the Chairman of Remuneration Committee and member of audit committee. He received two B.S. degrees in Geology and Mathematics from University of Wyoming, and Master and Ph.D. degree in Geophysics from Harvard University, and was “Distinguished Visiting Scholar” in finance at Wharton School of the University of Pennsylvania. Dr. Wong has worked in financial industries in the United States and Hong Kong for many years, and has considerable experience in corporate finance, investment and derivative products. He is a member of Hong Kong Securities Institute and a life member of American Geophysical Union. He is the Chairman and executive director of both UBA Investments Limited and Far East Holdings International Limited, non-executive director of China Sandi Holdings Limited and the independent non-executive director of Kingston Financial Group Limited, DeTai New Energy Group Limited, GT Group Holdings Limited, Tech Pro Technology Development Limited, Synergis Holdings Limited and Asia Coal Limited. © Kaisun Holdings Limited. All Rights Reserved. The Group enhances communications with shareholders through annual, interim and quarterly reports, annual and other general meetings, and the Group's website.